This article will examine where we are with 5G today. What is the difference between the real 5G standard and the 5G lookalike? Many carriers tout 5G technology, with its promise of superfast speed and low latency, as the future of the network. What applications will truly benefit from 5G? We will examine 5G’s potential for automotive, mobile, entertainment and industrial applications. In mere decades, the field of telecommunication has advanced more than other fields have in centuries. The first generation of mobile communication (1G) brought cell phones; 2G brought text messages; and 3G and 4G brought GPS, telemedicine, videoconferencing, wireless LAN, and Bluetooth. Now, 5G is projected to take off in 2019. Quantitatively, 5G technology improves speed by 10x or even 100x, and increases network coverage. For example, it reduces data transmission latency (lag time) so the download time of a full HD movie is cut from minutes to seconds. 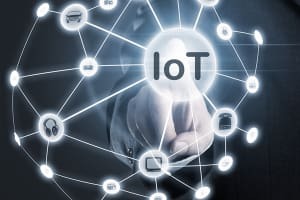 Qualitatively, by reducing congestion, 5G will bring the massive number of Internet of Things (IoT) devices onto the network and enable rapid machine-to-machine communication for things like driverless cars, smart cities, and remote surgical operations. For example, instead of accessing only cloud-based information for maps or traffic, autonomous vehicles will be able to navigate safely and communicate with everything (V2X), including each other and sensors at a traffic light or on the highway without delay. According to the Global Mobile Suppliers Association, as of September of 2018, more than 80 mobile network operators in 40-plus countries and territories had demonstrated or were testing 5G technologies. However, the rollout of 5G has been uneven across different countries and even different levels of government. The U.S. federal government is keen to promote 5G commercial deployments but is also wary of the potential foreign influence of them. At the same time, many city governments in the U.S. are skeptical about the 5G infrastructure. In contrast, other countries are much more enthusiastic about 5G across the board. What 5G Means to the U.S. Developing 5G is a complex process. Carriers must build the physical networks for the technology, which are expected to cost up to $300 billion to roll out in the U.S. alone, according to the British bank Barclays. Chip makers need to develop integrated circuits, and smartphone makers must build 5G-compatible devices. In addition, government policy will heavily influence the success of the rollout. In its 5G FAST Plan, the Federal Communications Commission (FCC) lays out strategies to promote 5G, such as making more spectrum available to the marketplace and revising regulations. The FCC has started to auction high-band, millimeter-wave spectrum. It auctioned the 28 GHz band in 2018 and plans to auction 24, 27, 29 and 47 GHz bands in 2019. Overall, the agency plans to release nearly 5 gigahertz of the 5G spectrum into the market. Later, it plans to free up another 2.75 gigahertz of 5G spectrum in the 26 and 42 GHz bands. The U.S. government and the FCC are also working on identifying and allocating more mid-band license spectrum for 5G. Mid-band licensed spectrum will be critical to 5G deployments. Citizens Broadband Radio Service Spectrum (3550-3700 MHz) has been identified as a shared spectrum resource among federal government users, licensed operators, and unlicensed users. Additionally, the National Telecommunications and Information Administration is studying several mid-bands for possible repurposing to the commercial sector. Finally, there is a large swath of 3.7-4.2 GHz mid-band spectrum controlled by C-band satellite operators that could offer some opportunity in the future for the U.S. market. The FCC’s revision of the regulation pertaining to the installation of 5G infrastructure has generated considerable controversy and pushback. The upcoming 5G network uses high-band mmWave spectrum that has never been used for cellular technology. The mmWave spectrum has shorter coverage ranges due to its limited physical propagation characteristics. As a result, more cell sites and antennas would need to be installed on existing public utility poles, 4G cell towers, or other structures such as street corners and buildings, according to the FCC. Going a step further, the FCC issued a wireless pre-emption order, which limits the authority of cities to regulate antenna placement for aesthetic reasons. 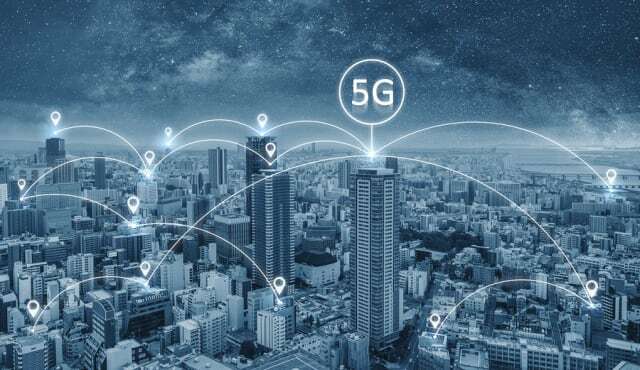 Also, according to 5G Americas, a wireless industry association, over 20 states have passed legislation encouraging local municipalities to streamline cell siting policies. The effect of antennas on health outcomes has long been a controversial topic. On the one hand, the telecom industry has vociferously denied that there is a link between antennas and health outcomes and has insisted that the small 5G cells emit less radiation than 4G cells. On the other hand, numerous consumer advocacy groups cite scientific studies that suggest electromagnetic fields have a negative impact on plants and animals (ants, bees, earthworms and rats). 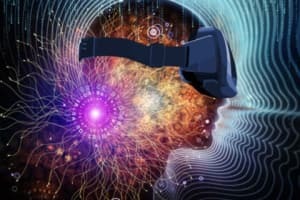 One group even put forth a survey and research study suggesting that humans who are heavily exposed to electromagnetic waves suffer neurobehavioral effects like headaches, memory changes, depression and sleep disturbance. Lastly, the California Department of Public Health has issued warnings about the potential health effects of cell phone antennas. Working on the assumption that everybody wants faster Internet, carriers continue to work hard at educating communities about 5G. However, it is not easy to explain all the complexities of mobile wireless technology. And many communities feel the federal government and major carriers are too aggressive and insufficiently considerate of their concerns about cell site installations. Some communities, including the City of Portland, Oreg., which is suing the FCC for its pre-emption order, are pushing back and defeating installation proposals. Seattle is coordinating with other cities in a similar lawsuit. Several San Francisco Bay Area counties (Marin, Alameda, San Mateo and Contra Costa) are denying 5G installations. New York City and Boston have taken similar stands. Such restrictions, albeit localized, will nevertheless delay the 5G rollout. However, cities may be more amenable to 5G expansion if the carriers take more care in how visible they make the antennas. For example, Palo Alto and some other Bay Area cities have allowed installations when the carriers were able to hide the equipment. The health concerns in some U.S. cities of 5G networks are not shared globally. By 2024, a 5G network will cover more than 40 percent of the world’s population, connect more than 2.2 billion gadgets, and generate a quantity of data that is five times greater than it is today, according to Ericsson AB, the Swedish maker of wireless networks. Both China and the U.S. are eager to dominate the 5G market. Whoever wins will own the world’s telecom infrastructure for the next generation. 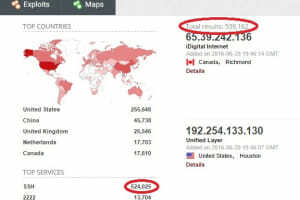 One only needs to look back 30 years, when the U.S. military funded the nascent infrastructure of the Internet, according to Ang Cui, the CEO of security firm Red Balloon. Securing the 5G network is also crucial to achieving technology dominance. Access to 5G networks could allow a potential enemy to wreak havoc on an entire country. 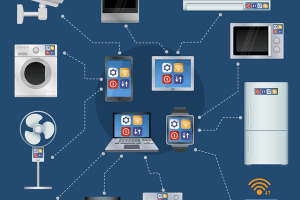 While 5G technology has stringent security standards and is more difficult to hack than its predecessors, its sheer ubiquity—connecting billions of chips, sensors, cameras, electronics, phones and computers—increases the size of the security threat. On the one hand, China is investing heavily to build 5G infrastructure through companies including Huawei. On the other hand, the U.S. government has banned Huawei from any contracts, citing a Chinese intelligence law that requires any Chinese organization or citizen to assist the government spy agencies and alleging that Huawei’s networking equipment could be used for this purpose. Also, the Trump administration blocked Broadcom from acquiring the U.S.-owned chip maker Qualcomm, citing similar security concerns. Taking their cue from the U.S. government, carriers like Verizon and AT&T have dropped plans to sell Huawei phones. Germany, Italy and the U.K. are not banning Huawei from providing networking equipment to their respective carriers. While Germany is keen on monitoring 5G risks, the U.K. thinks any risks posed by Huawei can be mitigated. On the other hand, Poland does not plan to use Huawei for its 5G technology. 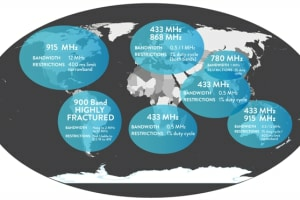 Historically, Huawei's business has always been much bigger in Europe, the Middle East, and Africa than in the U.S. Huawei’s equipment was already used for much of the 4G infrastructure in Europe; banning Huawei would cost the European Union (EU) far more than such a ban would in the U.S.—and would further slow the already delayed 5G rollout. So far, Huawei has already signed contracts to provide service with at least eight European countries and is conducting trials in at least 12 of them. Meanwhile in Asia, Thailand, a U.S. ally, launched a 5G test bed with Huawei in February 2018. And India is banning Huawei from some parts of its 5G infrastructure, according to the Nikkei Asian Review. In addition, Australia has already banned Huawei products. How closely countries choose to work with Huawei could greatly affect their longstanding relationships with the United States, according to the U.S. State Department, especially in terms of information sharing. As for Huawei, it has repeatedly disputed allegations that it enables Chinese espionage and has said that blacklisting the company without proof will hurt the industry and disrupt new high-speed technology. 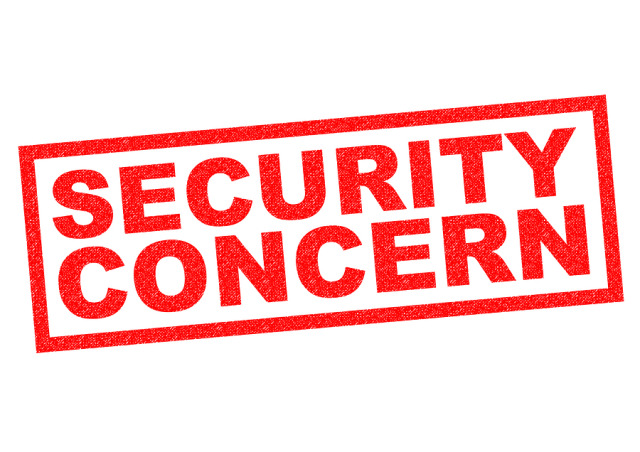 Most recently, the U.K., which has been monitoring Huawei-related security threats, has found significant defects in Huawei’s security system that governments or individuals can exploit and which could threaten national security. Such a finding supports the previous claims by the U.S. about Huawei. So, the saga continues. 5G will change things for average consumers, too. For example, they will need a new phone to use 5G so that they can do things like download a movie in seconds. Also, it is possible that they may pay more for the 5G network. For instance, Verizon is going to charge customers an extra $10 per month to use its 5G network. Then there is the question of whether the upgrade to 5G would provide a real 5G network. AT&T is marketing “5G E” by slapping a 5G label onto its 4G LTE Advanced network. While AT&T has already launched a 5G network in a few markets, it has yet to launch new smartphones connected to that network. 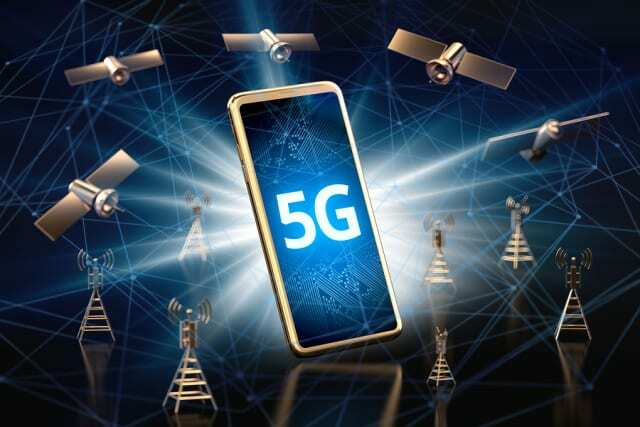 The company’s initial 5G home service deployments have also been criticized for not being true 5G, but rather a proprietary technical specification that is not part of the global Third Generation Partnership Project 5G standard. 5G is developing unevenly across the globe. There are many moving pieces of interconnected factors, allies, frenemies, risks and benefits. In light of the technology’s potential benefits, companies all over the world are rushing to join the 5G game. Its impact on the U.S. will mean more spectrum competition and influence on cybersecurity. Other countries will see 5G as providing them with an opportunity to gain leadership in an extremely important mobile wireless technology that could have a lasting effect on users, technology development, innovation and economies. Expect to see more findings on the real impact of 5G on networks, applications and health in the next five years. In the meantime, enjoy the upcoming high-speed, high-throughput platform.